Do You Want a New Schoolgirl? 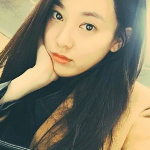 With the recent graduation of Jooyeon (*sob*) it's about time for AfterSchool to gain a new schoolgirl. In fact, AfterSchool has only had one major Korean comeback that did not also feature a new member. So, it wouldn't be unlikely to see a new addition with their comeback, possibly 2, as that's happened before. *AH! (Debut): Kahi, Jungah, Bekah, Jooyeon, Soyoung. *Diva: Kahi, Jungah, Bekah, Jooyeon, Soyoung, +Uee. *Because of You: -Soyoung, Kahi, Jungah, Bekah, Jooyeon, Uee, +Nana, +Raina. *Bang! : Kahi, Jungah, Bekah, Jooyeon, Uee, Nana, Raina, +Lizzy. *Shampoo: Kahi, Jungah, Jooyeon, Uee, Nana, Raina, Lizzy, +E-Young. *Flashback: -Kahi, -Bekah, Jungah, Jooyeon, Uee, Nana, Raina, Lizzy, E-Young, +Kaeun. *First Love: Jungah, Jooyeon, Uee, Nana, Raina, Lizzy, E-Young, Kaeun. *(Post First Love): -Jooyeon, Jungah, Uee, Raina, Lizzy, E-Young, Kaeun. Are you looking forward to seeing a new member, or would you rather the lineup remain the same? Quite frankly I'd be thrilled if we got someothing ridiculous like 5 new members (I know that's not gonna happen but still). I just want to see new members! I always love group additions. Junghyun is easily Pledids' most famous trainee. She's done the most outside work, was featured in AS's Bang! MV, OC's Aing MV, and Happy Pledis. She'd be around 16 now, and Kaeun was 17 when she debuted so she's in the right age range. In my eyes, she seems to be the most likely candidate. That being said, I really like all the trainees. Buuuut, Pinky obviously has the best stage name, Shannon is way cute, and I think it'd be hilarious if we had 2 Nayoungs. IMO, Junghyun or Yebin would fit the group the best aesthetically. They don't look too young, which I guess current E-Young & Kaeun kind of break that rule. Other than that, Kyungmin got into Pledis along with Yoo Ara a while back and they were both apparently really good singers, so I wouldn't mind her. I would like a strong rapper added into the group, not that they have much rapping in their more recent songs, but it would be a nice surprise if they came back and had some fierce rap verses in there. I personally think they should add two members this time around, that way, when we reach the next inevitable graduation, we'd have had two girls that the public has seen for a while. Yeah, Kaeun has a lot of promise when it comes to rapping but it'd be nice to see a new member that has rap as their main skill.